Carrying a balance on your credit card can prove costly. Pay your bill on time. People ignore the payment date of their credit card bill thinking the interest charged won't be very high if they miss it by a day or two. You are wrong. Reality If you miss a payment, the interest amount is calculated from the date of purchase. By paying the minimum due amount, you just save on late fees. Reality Do not think 'minimum due amount' is a good reason for delaying your payments as the company still charges you interest for the period. It, however, doesn't impact your credit score as you are not termed as a defaulter. You missed the last payment on your credit card. You make a fresh purchase on your card thinking you won't miss the payment this time. When the bill comes, you are surprised to see that the interest charged does not add up. Reality Trailing interest is something not many understand. But it could cost you dearly. This is because if you had not made full payment as per your previous balance on your card, the interest is calculated from the day one of your purchase. Grace period ceases to exist for fresh payments if the payment is not made on your card. If you think by making a partial payment you will save on interest, then you are wrong. Part-payment only helps in reducing the burden of paying the full amount next time. Reality Interest is calculated on the full amount even after making a partial payment. 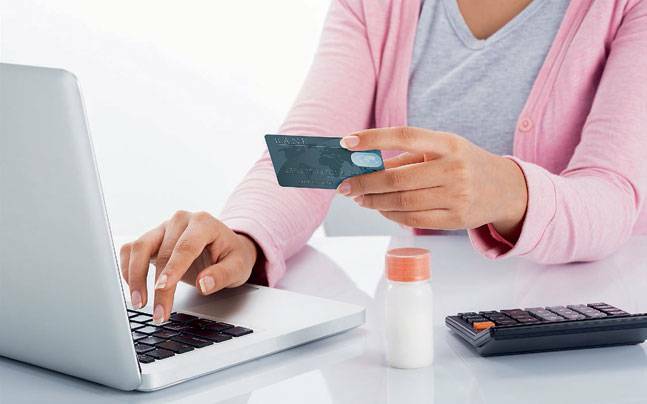 "If you spend Rs 1,000 and you pay a partial amount, interest would be charged on Rs 1,000 for that period," says Gaurav Wadhwan, co-founder, Credit Sudhaar. It is not that you get a interest-free period of just 20-30 days on your card. The interest-free period can be extended to up to 50-60 days if you wisely time your purchase. Reality Know the date when your credit card bill is generated. By making a purchase on that date, you can increase the interest-free period by almost two months.